Emily Fox in Travel on 20 February, 2016. Last year, I moved to Paris. Much like my fellow French students, I felt both nervous and excited to explore the City of Love and Lights and to jump right into the crux of la vie française. However, for me, I saw Paris predominantly as the City of Really Good Food. Think baguettes, coffee, croissants and more. Whilst there are countless travel tips that I gathered during my 5-month stay, I am very aware that there are just as many city guides both online and off detailing such must-see tourist spots and too often talked-about locations for that ideal Eiffel Tower Instagram. 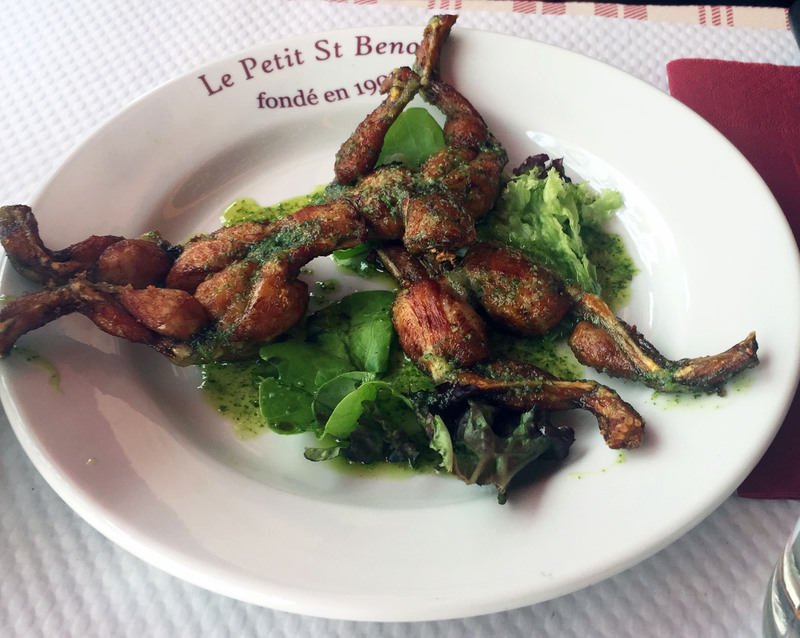 So, knowing that devising a Paris Travel Guide certainly isn’t ground-breaking, I decided to summarise how I best spent my down time in the French capital – seeking out the best of the best of French gastronomy. Here are some hints for the foodie-orientated traveller. A student favourite, Parisian style. 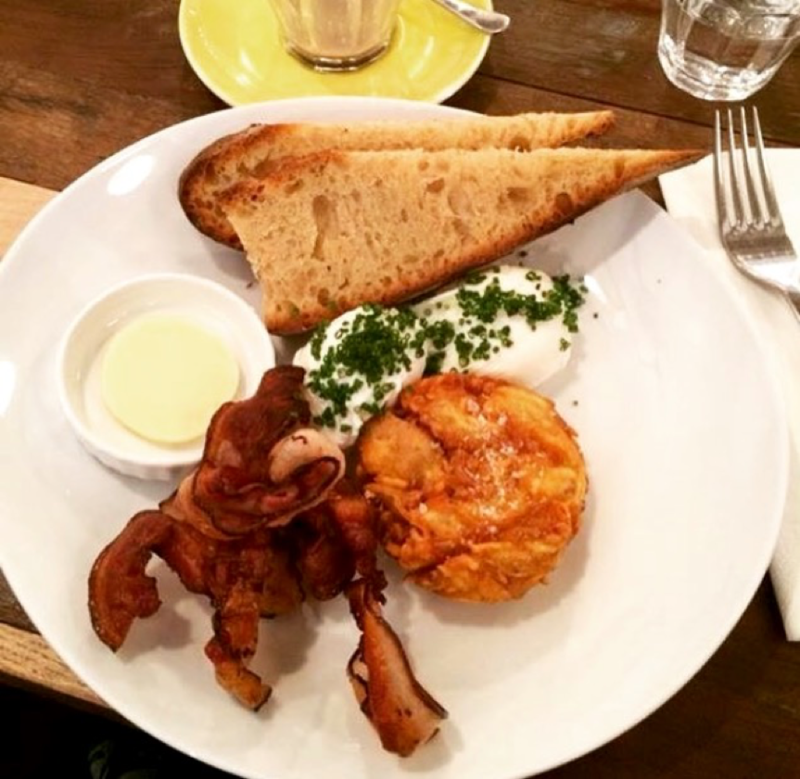 Brunch is taken very seriously in my books and Holybelly is one of the only places I frequented more than once. This popular weekend spot always boasts a lengthy queue outside but it’s worth it – trust me. 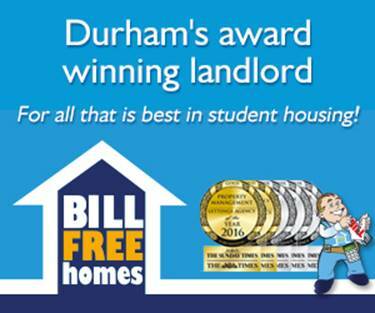 The coffee is great, the food is better and you’ll be back every day if you’re not careful. Afterwards, why not visit Place de la Republique around the corner, a symbol of the Third Republic and a place of remembrance for the lives lost to terror in Paris. The classic French onion soup, perfected. Located in the beautiful Saint Germain, this little lunchtime location is your ultimate bistro. The menu changes regularly and is filled with elderly locals who greet the owner with a smile. 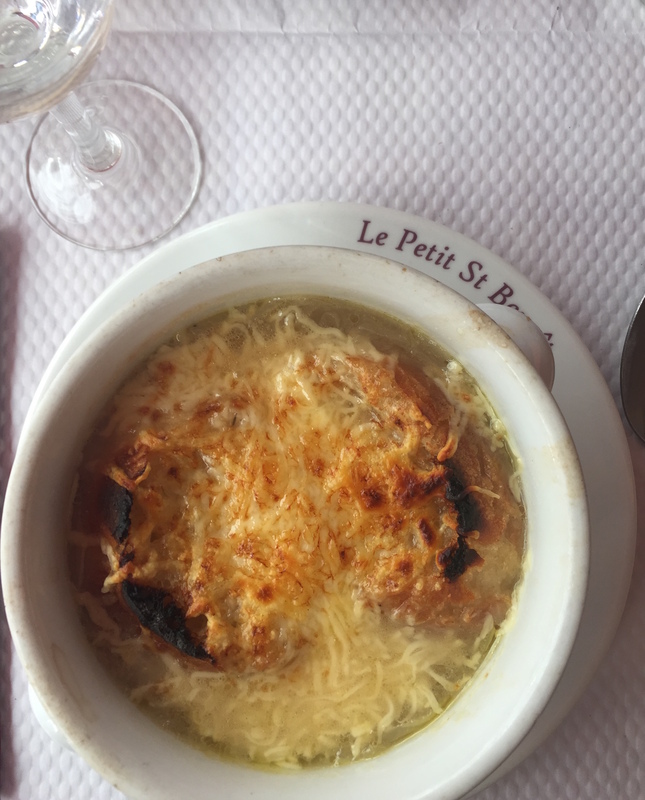 Find the best French onion soup in Paris here and whilst you’re at it, try some frog’s legs. Grab a friend, get a table outside and a big bottle of house red and people-watch, catch up and pretend to be Parisian for an afternoon. Their assortment of flavours and colours are too hard to resist. Hands down, without a doubt, the best macarons in the world. 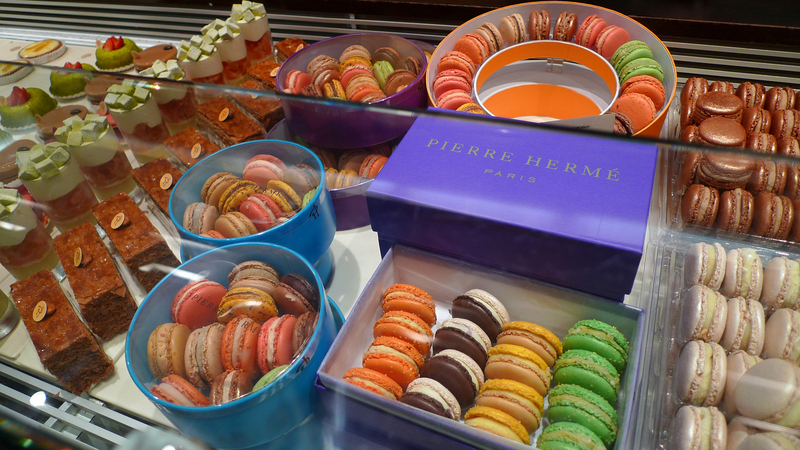 Crisp yet delicate, rich yet subtle, these offerings are unlike any other and no trip to Paris is complete without one. Why not try their unusual flavours too such as Chocolate and Foie Gras. Buy a bag to enjoy in the Jardin des Plantes. 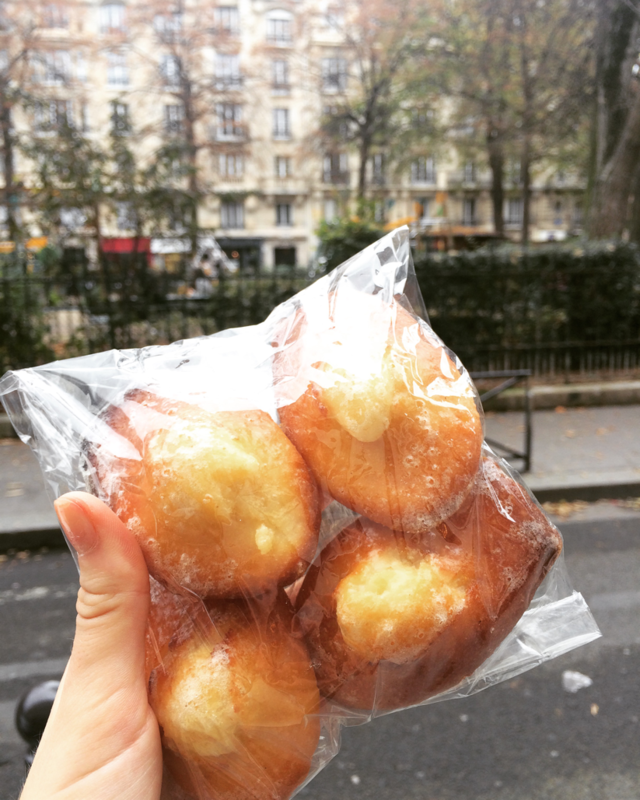 Whilst the 12th arrondissement is by no means my favourite, after having taken a bite of these famous madeleines, the setting won’t be a problem. Despite this, my advice would be to pick up a bag of 4 (< 5€! ), walk over the Seine and to enjoy them on a bench in the stunning >Jardin des Plantes. Especially beautiful during the autumnal months, this park became one of my favourite places to relax in Paris. This tourist hot-spot adjacent to the iconic Jardin des Tuileries is world-famous for its thick, rich and decadent hot chocolate that must be consumed with a spoon. A must-see and must-do at least once, I personally recommend numerous trips though. Situated in my all-time favourite district of Paris, this crêperie in the Marais is unquestionably worth visiting. My pick is always salted caramel with cream but all choices are a winner here. Arguably the oldest and the best bakery in all of Paris lead by patissier Christopher Vasseur is located in the 10th just by Canal Saint Martin. Their infamous “escargots” in both pistachio and noisette must not be missed. N.B Closed at the weekend so pop by for an afternoon treat post sight-seeing mid week. If you find yourself in the north of Paris around Montmartre or after a trip to the Sacre Coeur then you must go here. Simply choose ‘red’ or ‘white’ (wine) then ‘cheese’ or ‘meat’ (fondu) and you’re set. Find a chair at one of the two long sharing tables, ignore the rude host and drink your wine from the baby bottles from which it is served! All in good humour of course and most importantly, to avoid wine glass tax. As previously mentioned, the Marais holds a special place in my heart so taking my best friend here to celebrate her 21st Birthday seemed fitting. For me, this restaurant is exceptional enough to be for a special occasion yet not showy nor over the top, just like the Marais as a whole. A great choice for the last night of a trip too. Once described by a friend of mine as “a room of models”, the atmosphere at this über cool resto can be intimidating but the views from the top of Paris’ best modern art gallery cannot be beaten… and their mash and steak are pretty darn good too. I was lucky enough to complete a short master class in the ‘Secrets of Macarons’ at Le Cordon Bleu before leaving Paris and cannot recommend it enough. I learnt so much, had a lot of fun and it is firmly one of my highlights from my 5 months there. If you are in Paris for a even short stay, take a look at their 1 day courses online.